Creamy, spicy and so delicious! 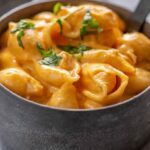 This Instant Pot Buffalo Chicken Mac and Cheese is packed with flavor and quick and easy to make! 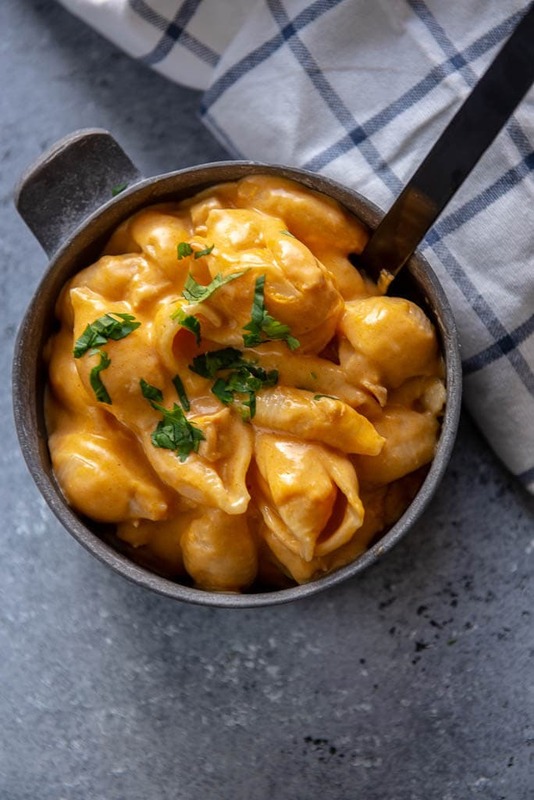 One of the most popular recipes here on my website of all time is my Slow Cooker Buffalo Chicken Mac and Cheese. And since I get a lot of requests about converting recipes to the Instant Pot, I knew it was time for a remake on this one. 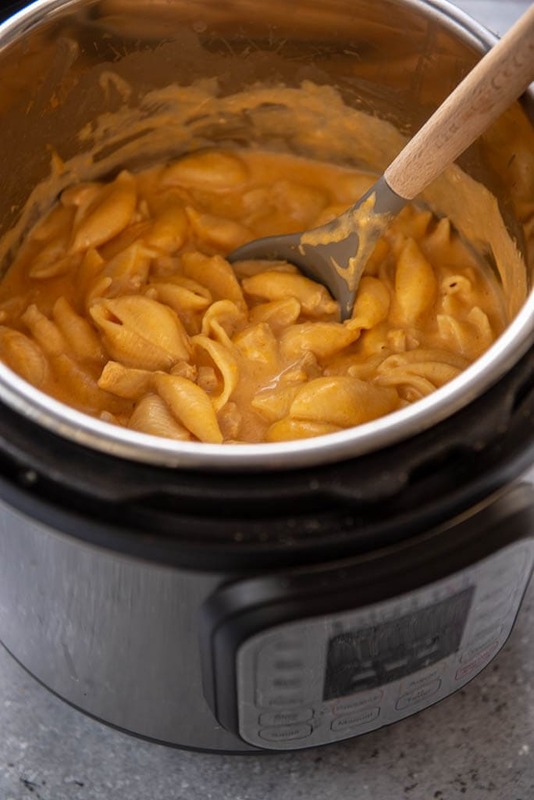 Homemade Mac and Cheese that you can make in your Instant Pot is an amazing thing and when you are ready to spice it up a bit, Instant Pot Buffalo Chicken Mac and Cheese needs to be on the menu. 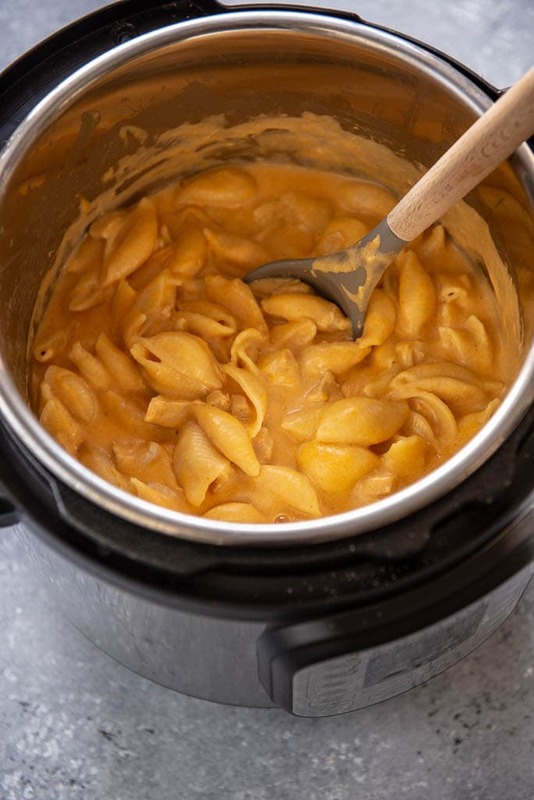 Families love mac and cheese and the cook of the family will love saving time by using the pressure cooker! Can you make pasta in an Instant Pot? I’m the first to admit, I was a little resistant to the Instant Pot when the craze first began. But I got so many requests and questions about converting slow cooker recipes or differences between using the slow cooker and pressure cooker that I finally caved and bought one. I tested out many recipes and many types of recipes but one quickly became my favorite…. pasta. Making pasta in the Instant Pot is genius! It takes out all the extra boiling water steps and simplifies the whole deal! The general rule for making pasta in the Instant Pot is to cut the cooking time in half of the boiling time and to use high pressure. How do I make mac and cheese creamy? For this recipe there are a couple of tricks I use to get creamy and cheesy mac and cheese. This recipe is a quick one to make, because the cook time is only 6 minutes. Using chopped up chicken instead of cooking whole and and making shredded chicken saves time and since there isn’t a ton of liquid we can do a quick release of the pressure. If you don’t want your mac and cheese as spicy, you can certainly adjust the amount of buffalo wing sauce you use. A perfect side for this meal is a tossed green salad topped with ranch or blue cheese dressing. What’s the best cheese to use for mac and cheese? It totally depends on the recipe, for some you want to go mild and some you want to go bold. 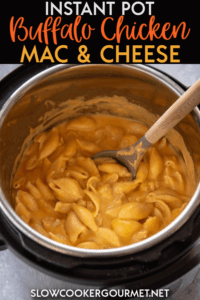 For this recipe, with the spicy sauce, I wanted a mix somewhere in between, so I went with half sharp cheddar cheese and half mild cheddar cheese for extra creaminess. Play around with what you like, and most of all, enjoy! Use half sharp cheddar and half mild cheddar and shred cheese from block for best results. Must choose TODAY between and INSTANT POT or the Pampered Chef QUICK COOKER (half price bc I’m hosting a party). What is the difference please asap!! THANK-YOU!! my apologies Darlene!! I’ve been away from the blog for a bit while working on a few other projects. What did you decide to go with? Do you have this recipe for slow cooker? Yes. Click here for the slow cooker version. 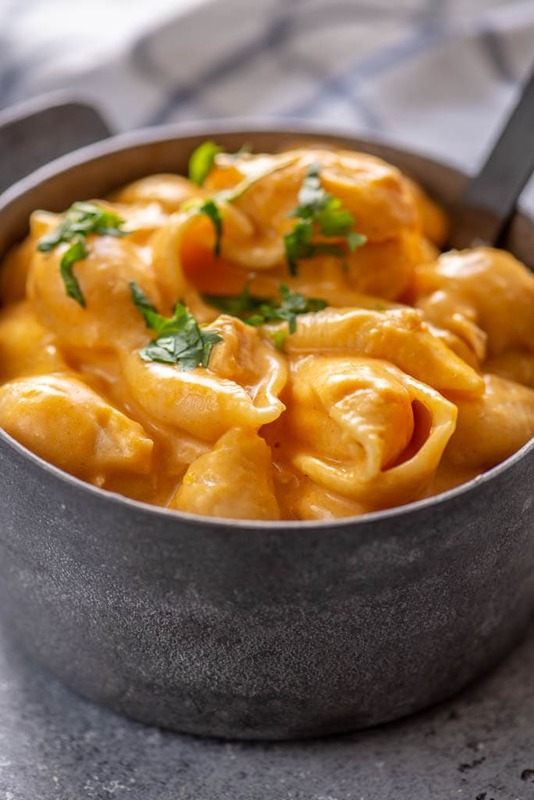 Can you make the buffalo mac cheese in a slow cooker instead?